To my series of essays about the most influential books in my life, I must add a fifth, which recently came to my attention in a funny way. My agent and I were talking about introducing a pair of kittens to my old cat, and she mentioned that our grown cat could teach the kittens how to be cats. 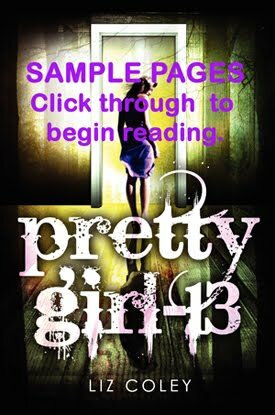 In the same breath as she began to ask, “Have you ever read….” I interrupted with, “Yes! 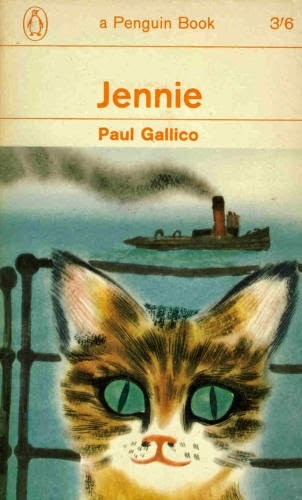 I loved that book so much.” What we were both talking about was Jennie, a novel for children, written in the fifties by Paul Gallico. I first read it about age ten on a trip to visit family in England. I was permanently marked by the reading, more than I appreciated. Many years later when it was out of print, I ordered it from a rare book shop in England for thirty pounds so my kids could enjoy it. I must have lent it to a scoundrel, because when we moved, to my dismay, it was no longer among the books on my shelves. After the recent conversation with my agent, I hopped onto Amazon, which had now been selling used books for several years, and found a copy for six dollars plus shipping. This is a book I must own forever, no matter how many times I have to re-buy it. It's a heartbreaker in a very special way. A couple of weeks ago, an author friend quizzed me about my favorite Star Trek and Star Trek Next Generation episodes. The original series episode that immediately leapt to mind (Tribbles aside) was “The Paradise Syndrome,” in which Kirk loses his memory and lives a peaceful, happy life for months with Miramanee, a pseudo-native-American on an unspoiled planet in the path of an asteroid. They fall in love, they marry, and they almost have a child before tragedy strikes and the ship returns for Kirk. My favorite Next Generation episode was “The Inner Light,” in which Picard falls into a coma on board and mentally awakes on the planet Kataan, where people insist he is a man named Kamin. As Picard lives for years on this planet, he falls in love with the woman who calls herself his wife, fathers a girl, watches her grow to adulthood, and learns to play the Ressikan flute. Inevitably, he awakens on board from his 25-minute coma to find the terrible and beautiful memories of the past forty years were caused by a special mental probe of sorts from an extinct people. He retains the ability to play the flute. Every time I hear that piping theme, I cry for the world and the love he knew both for a lifetime and for only twenty-five minutes. What do these stories have to do with Jennie? In that novel, a young boy named Peter, much neglected by his busy parents, darts away from nanny in front of a carriage and is run over. He awakens as a white kitten, immediately to be tossed out of his London townhouse and onto the cruel streets of London. Adopted by a sweet, knowledgeable tabby named Jennie, he learns how to survive as a homeless stray, travels to Glasgow and back, and blossoms into a big, strong cat under her intense loving care. Eventually he challenges a bully tom cat to a death fight to save Jennie from being “claimed” by him. I won’t spoil the ending. Suffice it to say, this story about someone who escaped a mundane, troubled life and lived an entire lifetime as another before returning. The poignancy of all three of these stories hits the same achy spot in my heart, but I had no idea until I reread it, that for ten-year-old-me, Jennie had been the foundation, the model, the prototype, even the archetype for this kind of heartbreaking, bittersweet story.